Responding to press reports citing an "unnamed U.S. defense source," the Saudis have again denied that there is an agreement between the Kingdom and Israel that would permit Israeli aircraft to transit Saudi airspace on their way to attack Iranian nuclear targets. Reports of this "agreement" surfaced about a year ago, and was denied then by both Saudi Arabia and Israel. Your first thought might be to outright dismiss the idea that an Arab country, especially a Muslim theocratic kingdom, would allow fighters of a Jewish state free passage to attack a fellow Muslim country. Remember, though, this is the Middle East - strange things happen here. (See Saudis give nod to Israeli raid on Iran ? – not so far-fetched.) An old Arabic adage often holds true - the enemy of my enemy is my friend. The Saudis have no desire to see Iran with a nuclear weapon. The rivalry between Sunni Arab Saudi Arabia and Shi'a Persian Iran goes back as long as the two nations have existed. At one point, both were allies of the United States - friendship with the two was a cornerstone of the Nixon "Twin Pillars" doctrine. That all changed with the fall of the Shah and the Iranian revolution in 1979. With growing Iranian animosity towards the United States, Saudi Arabia's alliance with America grew closer. Along with the other Gulf Arab states, the Saudis were protected under the American defense umbrella. That umbrella was demonstrated as the Gulf Cooperation Council countries allied with the United States, the United Kingdom, France and other members of the coalition to defend Saudi Arabia and liberate Kuwait after the Iraqi invasion of that small country. The Saudis have no desire to have to deal with a nuclear-armed Iran. If the United States cannot or will not stop the Iranians from developing a nuclear capability, the job will necessarily fall to the Israelis. If the Israelis know they can transit Saudi airspace safely, it makes their attack planning much less complicated. 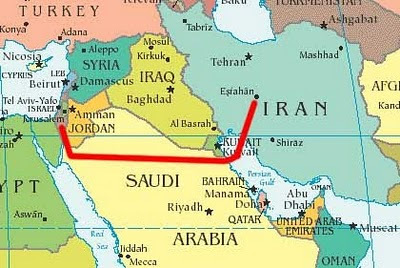 The flight route to targets in Iran from Israel over Saudi Arabia is about 1,400 miles. That is at, or in excess of, the maximum combat radius of Israel's F-15 and F-16 fighter aircraft. 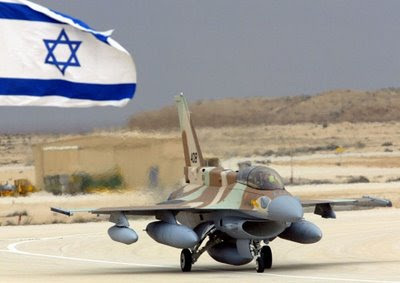 To carry enough ordnance to make effective strikes on Iranian nuclear targets, ideally the Israelis will be able to conduct aerial refueling of the strike aircraft. That requires a permissive air defense environment. Of course the Saudis deny the notion that they will turn a blind eye to Israeli use of their airspace to attack Iran. 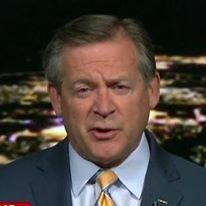 However, as I said a year ago: if there is an Israeli strike against Iran, all the Arab and Muslim countries will condemn Israel in public - most will smile in private.